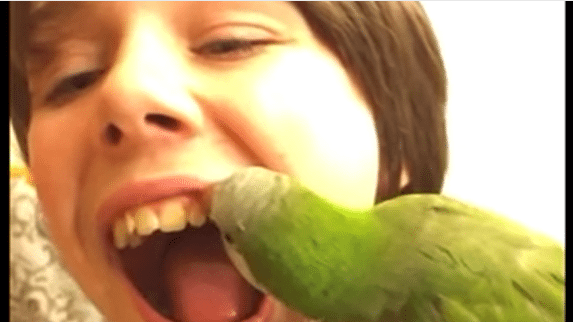 Pet Parrot pulls out boys tooth. I can’t decide if it’s adorable or disgusting–probably both. Here is a video of a pet parrot pulling out a baby tooth. I’m thinking it’s a bad idea, but the cute factor is undeniable. Enjoy.